I have been working with a client whose spacious 4200sf home is filled with traditional furnishings. When they first started buying furniture for their home years ago, they thought they should buy "grown up stuff" (her words). Very traditional, sophisticated, and formal furniture pieces ensued. The only problem is that their furniture never matched their personalities or casual lifestyle. This got me to thinking... Is your home filled with lots of traditional pieces too? Has your style evolved? Have you been longing for a more casual looking and feeling home to match who you are and your lifestyle? Update your light fixtures with a modern one. 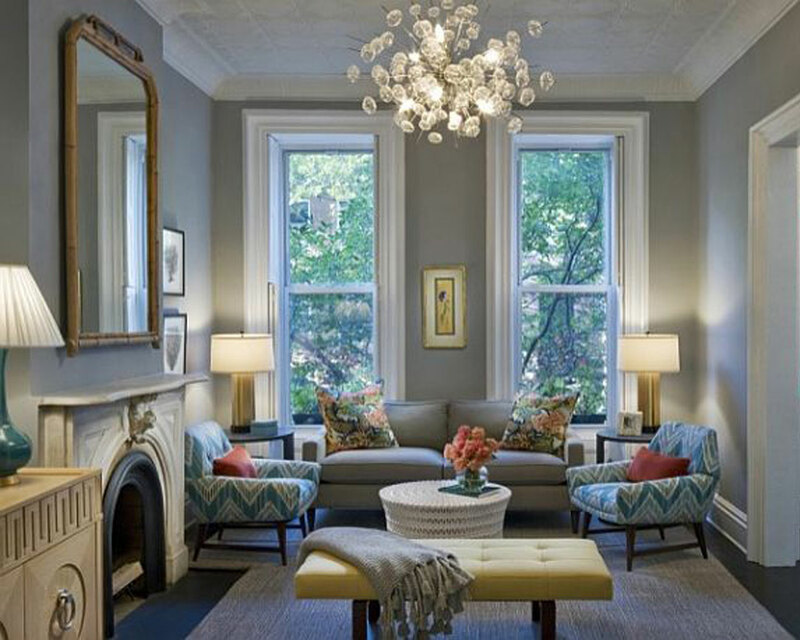 Swapping out light fixtures will go a long way, especially if it happens to be a statement chandelier. Do not be afraid to mix styles. I believe that the most fresh, dynamic, and interesting rooms are those that feel collected - which often incorporates a mix of styles. The trick to making multiple styles feel cohesive is balance and repetition. 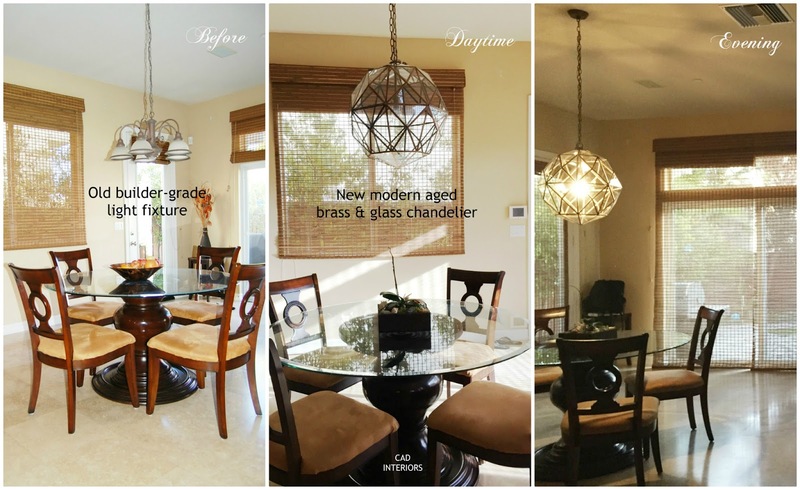 In my client's home, we replaced the builder-grade light fixture above their (not so) casual dining set with a modern aged brass pendant. She sent me photos of how the new light fixture looks at day and night. We both love the larger scale and the beautiful glow it casts! The new fixture also now makes a focal statement and draws your eye to "that side" of the great room. On another note, I also recommended new chairs to give the dining set a more casual vibe. In my area, there must have been a closeout special on beige paint over the last decade because "builder beige is the rage" around here. Try white (yes white) or a shade of gray instead. These colors provide a more modern slate for traditional furnishings. You can also create a focal wall using a deep or vibrant color, or paint on geometric patterns (like stripes) to infuse a bold, modern effect. Paint can make the most dramatic impact with very little money. Don't forget the ceiling is a wall too! I love the idea of using black and white photographic prints as artwork in more traditional spaces. It is completely unexpected and immediately infuses a modern element. Another option would be to create an eclectic gallery wall that combines traditional art with modern prints. Click here for more ideas. I have a hard time making recommendations that permanently affects valuable antiques or solid wood anything. I prefer that such pieces be restored rather than altered. However, one way you can give an heirloom or "quality" furniture piece a "non-permanent" update is by replacing the decorative hardware with something modern. 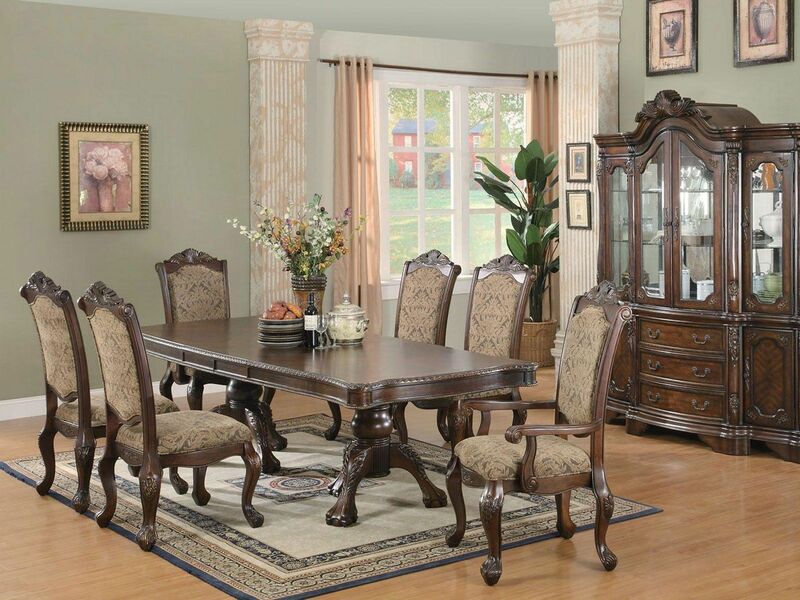 Do you happen to have a traditional dining set that looks something like this? It is certainly sophisticated and elegant, but casual looking? Not so much. You can always dress up a table for more formal affairs (with dishes, stemware, etc. ), but you can't dress down its intrinsic formality. Apart from changing out all the furniture, I often tell clients to consider replacing just the "host" chairs to tone down some of the formality. Conversely, you can swap the guest chairs instead. Upholstered chairs with a simple or modern fabric are a great option. They add softness, texture, and dimension - and helps break up the "matchy matchy" and formal feel. 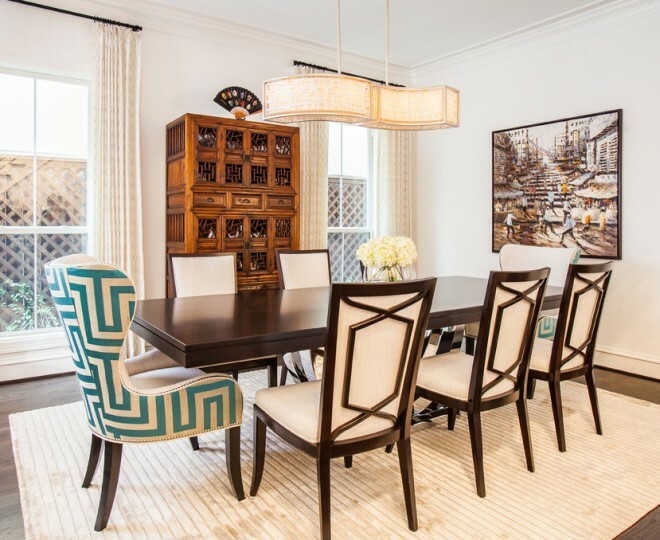 The dining room above is an example of how a modern light fixture, contemporary art, and breaking up matched furniture sets (different cabinet style and host chairs) can make a room look and feel more casual and collected, while providing depth and dimension. 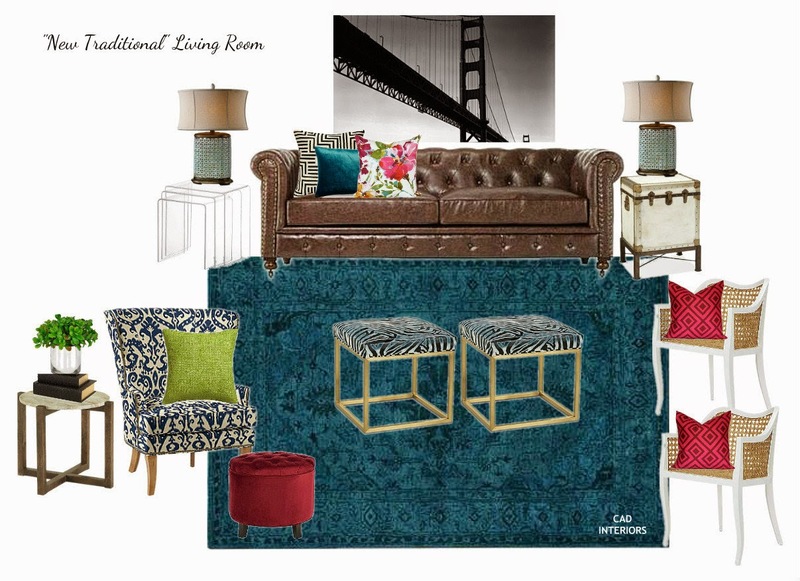 Hope these design tips armed you with a few ways to help you modernize your traditional space!